SEO: Content 1 – Statcounter Blog. Continuing our series of SEO blog posts, today we discuss the importance of GOOD CONTENT on your site. In our view, good content is THE most important factor in SEO. The content on your site should be the FIRST thing you think about when optimizing your website. Content is used to communicate information about your site to the Search Engines. While some SEO techniques are aimed primarily at the Search Engines, writing, updating and maintaining good content on your site will attract BOTH visitors AND search engines to your site. Please remember that we do not consider ourselves to be SEO experts. In this Beginner’s Guide to SEO we are simply aiming to demystify SEO for our members and to pass on some tips and information that we have picked up over the years. Important Note 1!Before we get into this topic further, it’s very important for you to note that (generally) Search Engines can NOT “see” pictures, videos or flash presentations. This means that the only way to communicate with them and tell them what your site is about is by providing them with basic text information. Compare the images below to see the difference between how StatCounter appears to human visitors and to Search Engines! Important Note 2!In addition, let’s remember what Search Engines are trying to do… Search Engines want to provide their users with a listing of the very best, most helpful and relevant sites. Important Note 3!You can work WITH Search Engines by helping them to achieve their goals… or you can work against Search Engines and try to use tricks and underhand methods to promote your site. In our view, the only way to promote your site is to do it legitimately by working with the Search Engines. While “dirty tricks” may provide some SEO benefits in the short term, you can rest assured that these benefits will not last and may have a detrimental long term effect on your site. 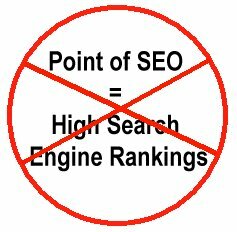 It’s very important to remember that the point of SEO is NOT to be listed highly in Search Engines. SO that you obtain more conversions! In other words, in the long term, the goal of SEO is to make your website successful. After all, ranking highly in Search Engines is pointless unless it’s bringing more conversions to your site. You should NOT focus on promoting your website at the expense of actually building and developing your site. Your primary focus should be on creating a great site. Publicising and promoting your site via SEO techniques should be a secondary concern. SEO should not be about playing games or trying to “con” the Search Engines. Think about it from your own perspective. When you look for something using a Search Engine, you want good quality, relevant results. Other users want the same thing! It won’t last. Search Engines are clever and it’s very difficult to fool them for long. Ultimately, your site may be dropped by the Search Engines altogether. 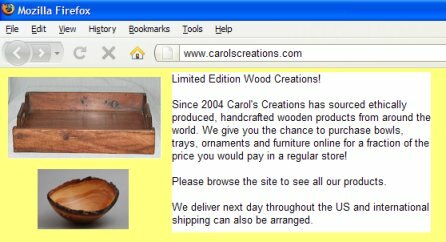 Anyone who does visit your website, probably won’t buy anything or sign up i.e. you won’t get any conversions. After all, if you have “tricked” them into visiting your site, it’s not very likely that your site will have what they want, is it? You will have wasted time and effort for nothing. So, when users search for a term or phrase, they are looking for high quality, relevant results… Since Search Engines want to provide their users with the results they are looking for, your first step in terms of achieving good SEO for your site is to start with a high quality, useful website! And how do you develop a high quality, useful website? WITH CONTENT! (c) So, what is Content exactly? Content is the “value” or “substance” of your website. It is the information, tools or services available on your site. It is the reason why people come to your site. GOOD CONTENT is content that YOUR VISITORS will find USEFUL. Remember “good content” means different things for different websites. This is because what constitutes good content depends on the goal of your site and your target audience. Let’s take a look at an (extreme) example. Consider the following (fictional) site. While this site does contain information about the site owner, Dave, this content is not useful or helpful to anyone else! 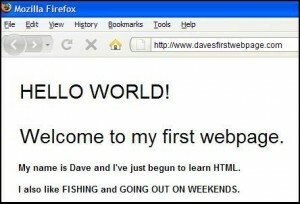 Let’s imagine that Joe Bloggs finds this site by searching for the term “first webpage” – this site is definitely not what Joe is looking for… the chances are that Joe wants help on building his own first webpage. That’s why this webpage won’t appear ANYWHERE in the top Search Engine Listings for “first webpage”. 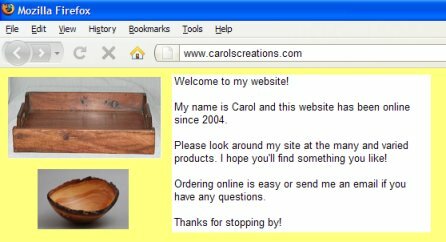 Due to the poor content on this site, there is no reason for anyone to visit, definitely no reason for them to return, and I can’t imagine ANYONE recommending this site to a friend! Now consider the following site. 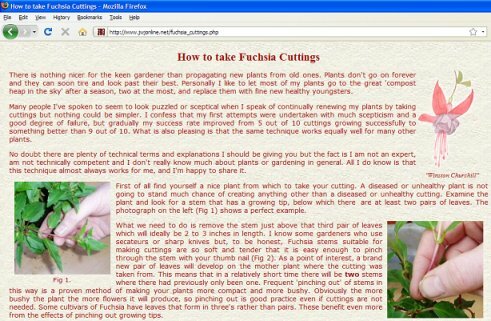 This (real) site gives step-by-step written instructions and pictures on how to take a cutting from a Fuchsia plant. It’s abundantly clear that this webpage would be very useful to anyone with an interest in gardening. Let’s imagine now that someone found this site by searching for the term “fuchsia cuttings” – this webpage is probably exactly what they are looking for. That’s why this page has top ranking for the term “fuchsia cuttings” in many search engines. This site is in fact a real-life example of how good content promotes itself – we will be returning to this example in a short while when we look at the importance of good content in section (g) below. Is there anything different/unusual about her products? What price range are the products in? 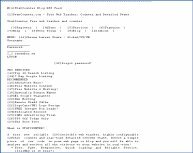 Note that the revised website content contains only 16 extra words compared to the initial version, however, the amount of information conveyed is hugely increased. (g) But What’s so Important about Good Content anyway? Good content is very important because good content promotes itself. Let’s return for a moment to our Good Content example in section (e) above about Fuchsia Plants. John, the owner of this site, strongly believes in the importance of useful content. He writes about his own experiences and shares useful information that he has gathered. John’s site is #1 out of over 600,000! That happened because many people have found the page helpful and posted it in forums and blogs, they’ve linked to it on their own sites and they have told their friends about it. It’s even referred to by several authoritative gardening sites. At StatCounter, we share John’s view that if your content is GOOD, people will want it … and if people want it, then the Search Engines will want it (and list it highly) too. Good Content could therefore be considered to be self-promoting – it provides its own SEO. (h) Any other SEO benefits from Improving my Content? A Search Engine’s preferred format for learning about a site is basic text content – the more content you have the more the Search Engines can learn about your site. Remember, we want to work with the Search Engines – make it easy for them to understand your site and you certainly stand a better chance of ranking highly with them! Wouldn’t you be more likely to help someone who helps you, rather than someone who won’t co-operate? The more and better content you have, the more likely you are to rank highly in Search Engines and so the more likely it is that your site will be successful. Lots of high quality content proves that your site is serious and here to stay. This is true for both your visitors and for Search Engines. Remember users WANT and therefore Search Engines WANT TO PROVIDE a listing of the very best, most helpful and useful sites – by making your site helpful and useful to your visitors, you’re on your way to better rankings. Conversion Every website has a purpose. Whatever the goal of a site, if a visitor completes the desired action (i.e. buys a book, subscribes for the newsletter, downloads the document) this is called a “conversion”. In other words, “conversion” is the generic name for the “goal” of a website. Our second post about SEO and Content will follow shortly folks and will cover how to write good content and other tips. If you have comments or questions on any of the above, please do post below. Very interesting article regarding ‘Fuchia cuttings’ We run a couple of online sites and its a fine balance in providing well re searched technical information over glitzy sales jardon in order to attract surfers. I supose well written text will help to obtain a higher Google ranking, which in turn should produce more hits to our sites. Its a bit like the chicken and the egg!